Clutag is a small independent press. 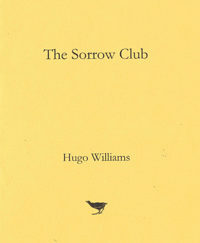 It publishes poetry and memoir, and the magazine ARCHIPELAGO. It has a marked but not exclusive interest in the margins and the marginal, in nature and place, in the British and Irish Archipelago. 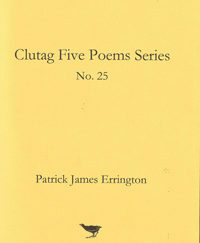 Clutag began in a very small way late in 2000, issuing hand-printed poetry leaflets. Then followed a series of pamphlets, notably by Geoffrey Hill, and by Seamus Heaney, John Fuller, Tom Paulin, Anne Stevenson, Mick Imlah and others. Some of these, along with Tim Dee, Douglas Dunn, James Macdonald Lockhart, Michael Longley, Robert Macfarlane, Les Murray, and the artist Norman Ackroyd have been regular contributors to ARCHIPELAGO. Clutag has also published books – a memoir by Ian Niall, and a biography of Niall, as well as poetry collections by Geoffrey Hill and by Andrew Motion. We plan to continue with our book and pamphlet publishing and to bring out two issues a year of ARCHIPELAGO. We regret that we are not able to accept unsolicited submissions. For more specific information please click on the menu items above. 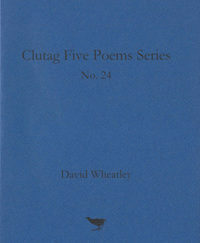 Douglas Dunn was awarded the first Clutag Press / Archipelago £1000 Award for Poetry in November 2012. 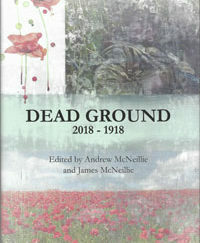 When we next have an adequate surplus we will award the prize again to a candidate agreed by the judges: Alan Jenkins of the TLS; David Norbrook, Merton Professor of English, Oxford University; Katherine Rundell, Fellow of All Souls; Fiona Stafford, Fellow of Somerville College, Oxford; James Macdonald Lockhart, writer and literary agent; and Andrew McNeillie, editor of Archipelago. There are no rules except that anyone submitting work or applying to be considered for the prize will be ruled out of consideration.